the abolition of the dividend tax credits. This has been the hottest topic since Budget day accounting for almost two-thirds of all Budget related calls. And despite the added complexity, it is good news as absolutely no-one will be worse off as a result and many could be able to pay more into their pension than was previously possible. Background The Pension Input Period (PIPs) rules are to be simplified so that all pension funding is measured across the tax year from 6 April 2016. To achieve this, the 2015/16 tax year is split into two ‘mini tax years’ either side of the Budget. Any open PIP automatically ends on 8 July 2015. A new PIP then starts from 9 July until 5 April 2016. The annual allowance for all the PIPs that relate to the first part is £80,000. The available annual allowance for the PIP that relates to the second part is the remainder of the unused £80,000 from the first part, but up to a maximum of £40,000. If my PIP was previously aligned to the tax year end, do I still get an extra £40K? The good news is that you’ll get an extra £40k AA in addition to what you had already paid towards your 2015/16 allowance prior to the Budget. But if you hadn’t already contributed before 9 July, you will just have your normal £40k allowance. Even though the purpose of the legislation is to get to a position where all PIPs start on 6 April and end 5 April, the way in which this has been done was to close all PIPs (including those already aligned to tax year) with immediate effect on 8 July 2015. This allows a further £40k to be paid before 5 April and count towards their post budget PIP. If I haven’t already paid towards my 2015/16 PIP, can I pay £80k now? Unfortunately the annual allowance (AA) for the post-budget PIP is capped at £40k. It’s only those that had already contributed towards their pre-budget 2015/16 PIP(s) who will now get the benefit of up to £40k additional funding. If I paid more than £40K before July 9th using carry forward, does that mean I can contribute an extra £40K? Those who have already used carry-forward this year may now be able to pay even more into their pension before April. But working out how much more they can pay will depend upon when PIP was due to end. Remember, in order to carry forward unused allowance from earlier tax years, you must first have maximised your contributions for the current year. Carry forward with PIP ending in 2015/16 If the PIP already ended in the current tax year (2015/16) there will be an extra £40k which can be paid before 5 April 2016. But the figures for the carry-forward exercise have now changed. The AA for 2015/16 is now £80k. Only where contributions exceed this amount can unused allowance be carried forward. So some unused allowance which was believed to be carried-forward will now count towards the 2015/16 AA of £80k. But this will mean that there’s now an equivalent amount of unused allowance from the earlier tax years which has been freed up to carry forward after 9 July 2015. Carry-forward where PIP was due to end in 2016/17 This PIP will now have closed on 8 July 2015, meaning it will now count towards the 2015/16 AA. Carry forward would now only have been used if more than £80k had been paid. Filling up the full £80k in the pre-budget 2015/16 PIP will mean there’s no further AA available for the post budget PIP. However, it will mean less carry forward has been used than was anticipated. And it’s now possible to go back an extra year. The three previous years for carry forward are now 2012/13, 2013/14 & 2014/15 – which could now reopen up to £50k carry forward of unused allowance from 2012/13. So it may be possible for someone who hadn’t contributed to their 2012/13 PIP to now pay an additional £90k before April (£50k from 2012/13, plus the extra £40K carry forward as a result of the new £80k 2015/16 AA). See our case studies for examples of how the PIP changes will work in practice, including for those who had already used carry forward this year. How much annual allowance will be available to carry forward purposes from 2015/16? 2015/16 will be split into two mini tax years – a pre-budget tax year and post-budget tax year. The amount available to carry forward from 2015/16 will be the remainder of the unused £80,000 allowance from the pre-budget year, subject to a maximum of £40,000, less any amount this used up in the post-budget tax year. There’s still a great deal of confusion around how the test to determine when the annual allowance will operate. And that is hardly surprising with two separate thresholds each with a different income definition. Background The standard £40k AA will be reduced by £1 for every £2 of ‘income’ clients have over £150k in a tax year, until their allowance drops to £10k. So a client with income of £210k will see their AA cut by £30k (that is, £60k ‘excess’ income divided by 2). The individual’s income from all sources before tax (ignoring any deductions for pension contributions), plus b. The value of any employer pension contributions. 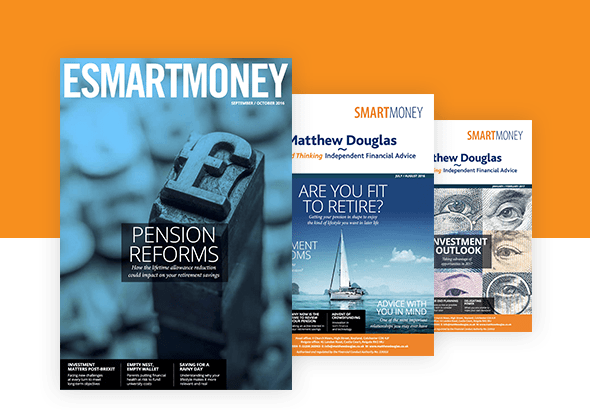 There is an additional test which can help some who are caught simply as a result of having pension saving of more than £40k AA in the tax year. Even if their adjusted income (income plus pension contributions listed above) exceeds £150k, the allowance won’t be cut if their ‘threshold income’ is £110k or less for the tax year. Threshold income uses the same starting point of total income before tax, but you can deduct individual pension contributions from this and you don’t add on any employer contributions. Adding back in any employer contributions from new salary sacrifice arrangements started after 8 July 2015. Introducing anti-avoidance legislation to ignore arrangements designed to shift income earned in one tax year but taxed in a different year. One of the intentions behind the drafting of the income definitions was to provide parity between employed and self-employed individuals. Employer pension contributions are a valuable remuneration benefit which aren’t available to the self-employed and are therefore added back in to calculate the adjusted income. Can company directors pay themselves a pension contribution to keep threshold income below £110K and maintain the full £40k AA? Company directors of unlisted companies generally have control over what the company chooses to do with the profits it makes. It is possible to pay themselves a pension contribution rather than salary or dividends which may keep threshold income below the £110k necessary to retain the full £40K allowance. Making an employer pension contribution into their own pension is not ‘salary sacrifice’. The business owner has not given up ‘specific employment income’ in exchange for a pension contribution, but merely decided to pay themselves a pension contribution out of the company’s pre-tax profits. What is the impact on carry forward for a higher earner with a reduced AA? It will still be possible to carry forward unused allowances to use in a tax year where the standard AA has been reduced. Any used allowance from the carry forward year can be carried forward in the normal way. But the available carry forward from a tax year where the annual allowance has been reduced by the taper will be the balance of the tapered amount. Background The lifetime allowance will be cut from £1.25M to £1M from next April. A £1M limit begins to bring LTA concerns into the main stream and no longer just for high net worth clients. For example, an accrued £50k DB pension entitlement will hit the threshold. Even allowing for the fact that from April 2018 the LTA will increase in line with CPI, a fund of around £780,000 today will breach the LTA in 10 years’ time if it achieves a real rate of return of 2.5%. And that’s without making any further contributions. DC contributions have to stop after 5 April 2016. Increases in DB rights can’t exceed the ‘relevant percentage’ (normally CPI for the previous September) in any tax year from 2016/17 onwards. Individual protection 2016 is only available to clients with pension savings worth more than £1M on 5 April 2016. This gives clients a personal LTA equal to their benefit value on 5 April 2016 (up to a maximum of £1.25M). Individual Protection 2016 comes without the need to stop funding. However the process for registering for protection will change. Individuals will no longer need to notify HMRC in advance for fixed protection or have 3 years to apply for individual protection. New deadlines are currently under consideration and due to be announced in the summer. Will shareholders receive less as a result of the abolition of the dividend tax credit? No. Shareholders will still receive the same amount. The 10% tax credit on dividends is only a notional credit to reflect that it has been paid from a company’s ‘after tax’ profits. So in effect the net dividend will become the gross dividend. And the notional 10% tax credit simply disappears. A shareholder currently receiving a £90 net dividend will still get the same £90 dividend paid to them. But it no longer needs to be grossed up to £100 before taxing it at their marginal rate. Instead the £90 will be tax free if it’s within the £5,000 tax free allowance, or taxed at the appropriate rate if it’s above it. The table below gives comparative net returns for a £90 net dividend before and after the changes for each taxpayer. Returns on shares held in ISA and pensions will be unaffected. No tax is paid within the fund on dividends received. The fund will still receive the same dividend amount, but without the notional 10% tax credit. ISAs and Pensions have for many years been unable to reclaim the dividend tax credits, so the changes will have no impact. Background From April 2017, where a main residence is passed to direct descendants (children, grandchildren) on death, there will be an additional £100k (increasing to £175k by 2020) nil rate band available. The residence nil rate band (RNRB) begins to be withdrawn if the total estate is greater than £2M. It is in addition to normal nil rate band of £325k. But the RNRB can only be used against the main residence. Is the new IHT Residence Nil Rate Band (RNRB) transferrable between spouses if the first spouse died prior to the Budget (8 July 2015)? Widows and widowers will be able to claim any unused RNRB from their deceased spouse or civil partner even if they died prior to the Budget. There will be no restriction on when the first death occurred. Personal representatives will typically have 2 years in which to claim the unused percentage of additional nil rate band from the first to die. If the first person dies before 6 April 2017, it’s assumed that they had a full 100% unused RNRB regardless of whether they had a qualifying property or whether it was used by passing it to a direct descendant. However, the allowance will still be tapered where the first spouse’s estate was greater than £2M.